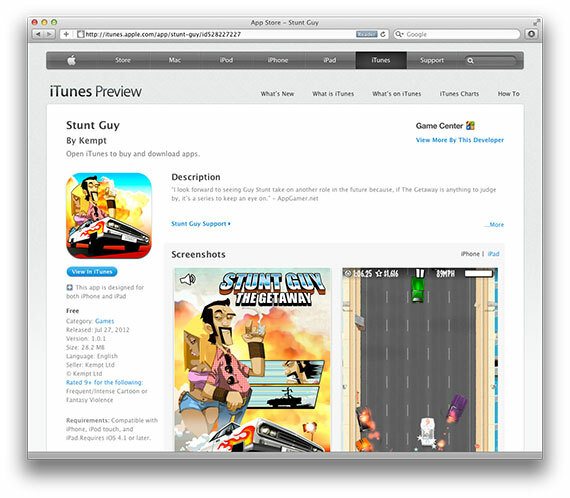 A second day of good news from the App Store, as our second game Stunt Guy: The Getaway goes live! Whilst most of our anxiety and sweating was taken up waiting for Bar Fight Live to be approved, there was most certainly a sigh of relief to hear this brilliant news! "Smashing up other cars hasn't been as fun since the original GTA!"